My friend is holding a pet costume contest for Halloween. 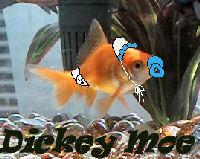 As fish are impossible to dress up, she encouraged people to take photos and then dress up the photos instead... 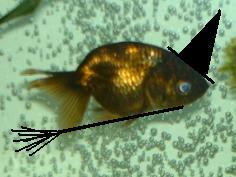 I thought that a few people might want to see the "costumes" my fish are wearing this halloween. Anybody else want to take a crack at dressing up their fish? That's hysterical...I'll have to get a photo of Mr. T later. Just moved him and he's a bit cranky at the moment. OMG! Cute! 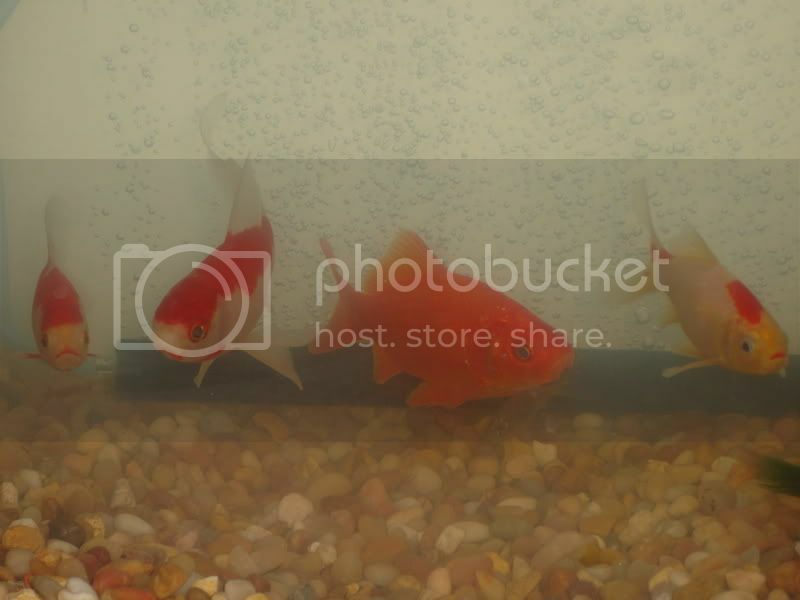 I wonder what your fish would think if they saw those pics!!!!!! Bunny Leopold is the cutest. 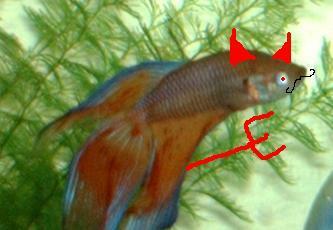 *giggles* I pity the FISH!........... well not really, but I couldn't resist the chance to say that. So cute! I bet Goggles brings home a HUGE load of candy this Halloween! Oh my stars those pics are just too cute!! If I had any clue how to do that, I'd try but I am computer challenged! THAT'S AWESOME! I love these! Keep em coming! Here's my lame attempt (not so great w/ PSP). It's Jason in hula dancer drag... He has a grass skirt and a Lei! 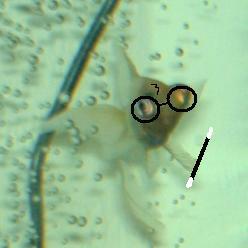 and My tiny lil telescope Eyebrows as Harry Potter! y'all are not right in the head doing that. I want to do it now. I got to check this out more when I got time. Love the funny pictures. I wonder what I can put Larry in! HA! LMAO!!! Oh man, Those gave me a good laugh!!!! What are ya'll using to dress them up, Photoshop? Eyebrows and Goggles are my favs. so far. I wanna see more fishy costumes! Come on people - open up your paint or PSP probramm and get bust! All the pics r so funny, i cant believe i never thought to do this before, i always mess with pics of my friends and make them look silly, y did i never think to do it with the fish!!?!? I only used 'Paint' to do it, it's easy! so come on everyone else, make ur fishies halloweeny!!! You killed me! He is so adorable! I showed that to the originator of the fish costume idea... and she thinks he's great too! HP fishy!!!!!! He needs a Ginny fishy! I used Photoshop for mine. Oh, Cool! When I get in from work I'll make another "costume". Have any ideas on what else Jason can wear? All the pics are quite funny.I especially enjoyed the Harry Potter one myself. As for creating my own,I'm quite an idiot when it comes to computer's,I'm lucky that I can do what I can.